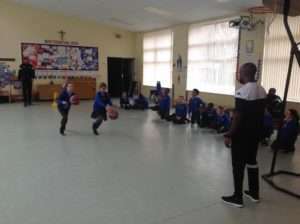 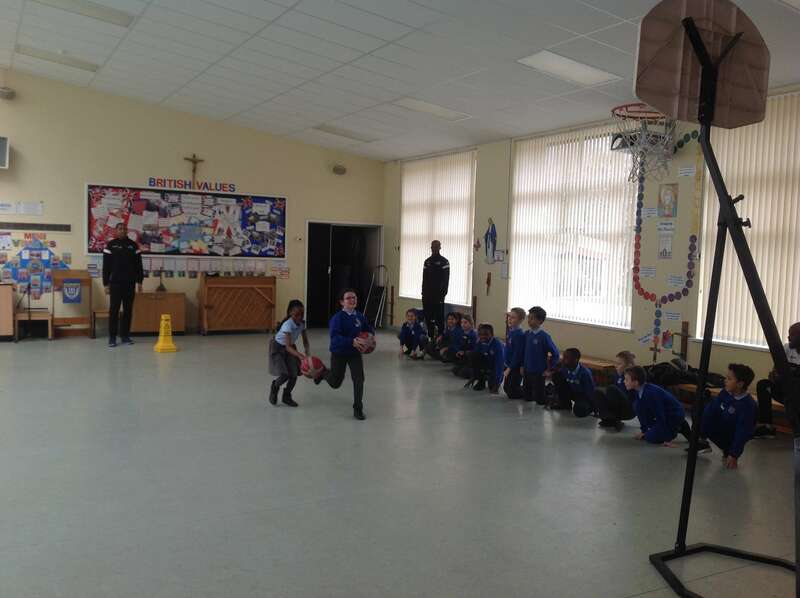 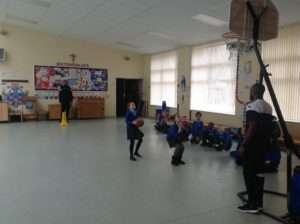 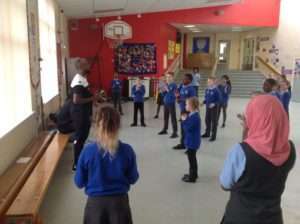 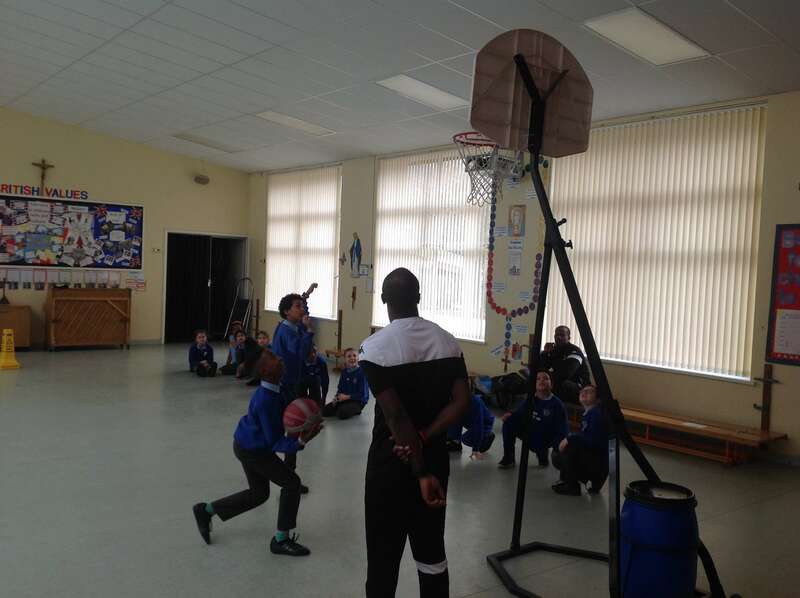 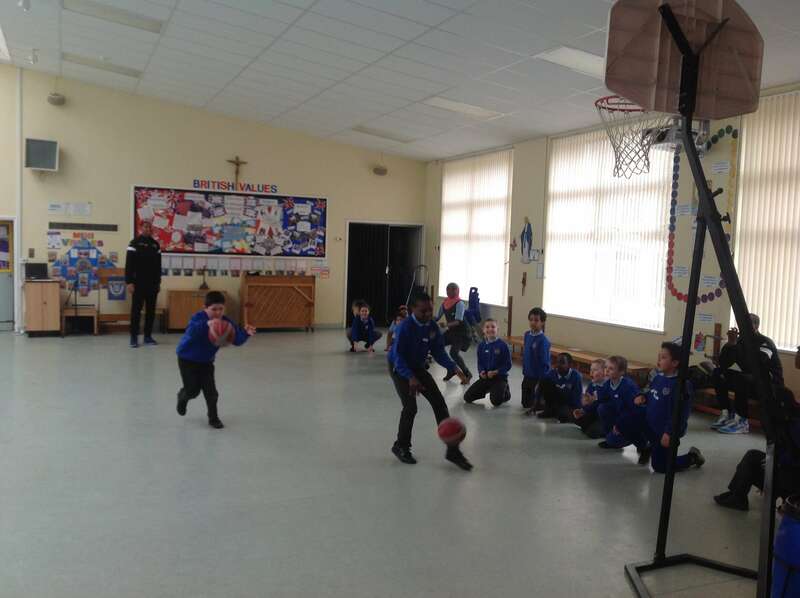 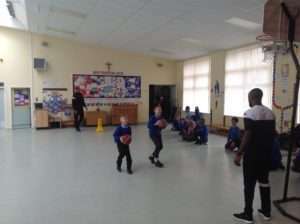 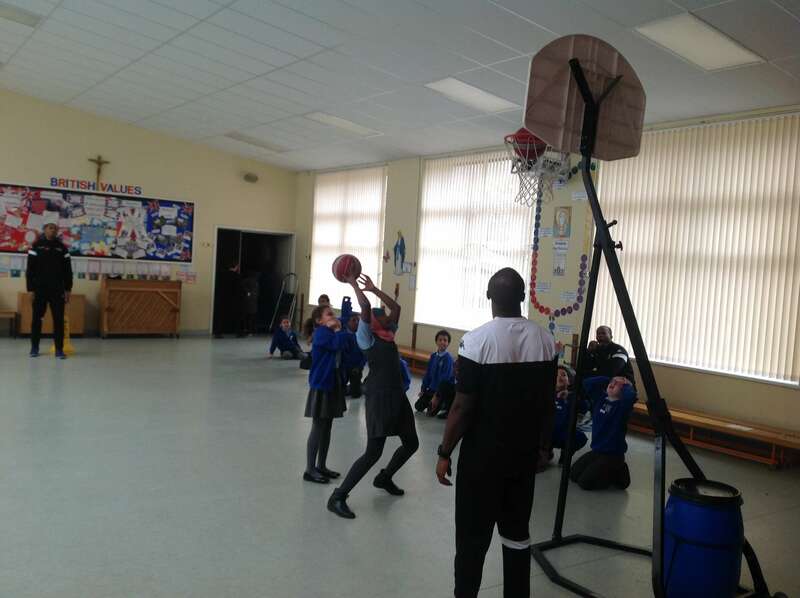 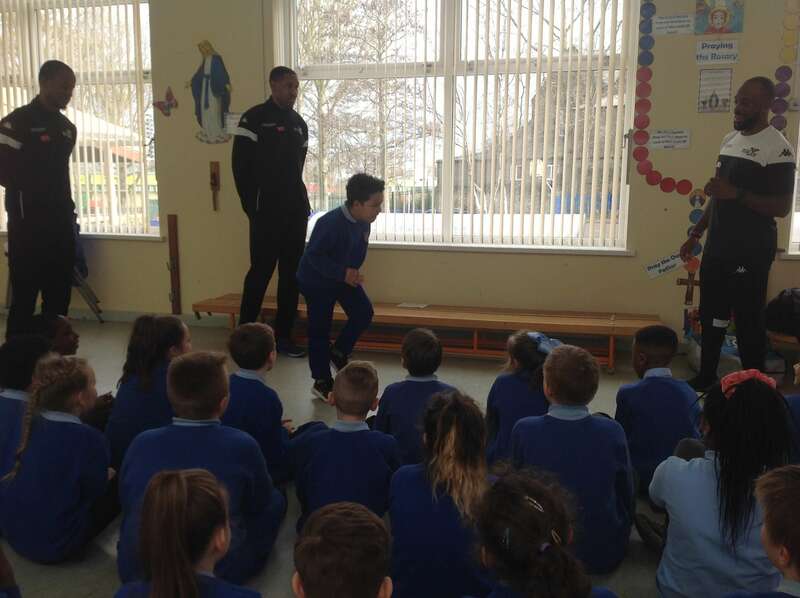 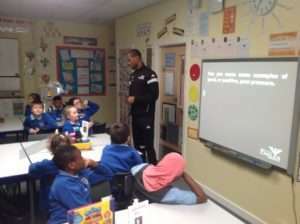 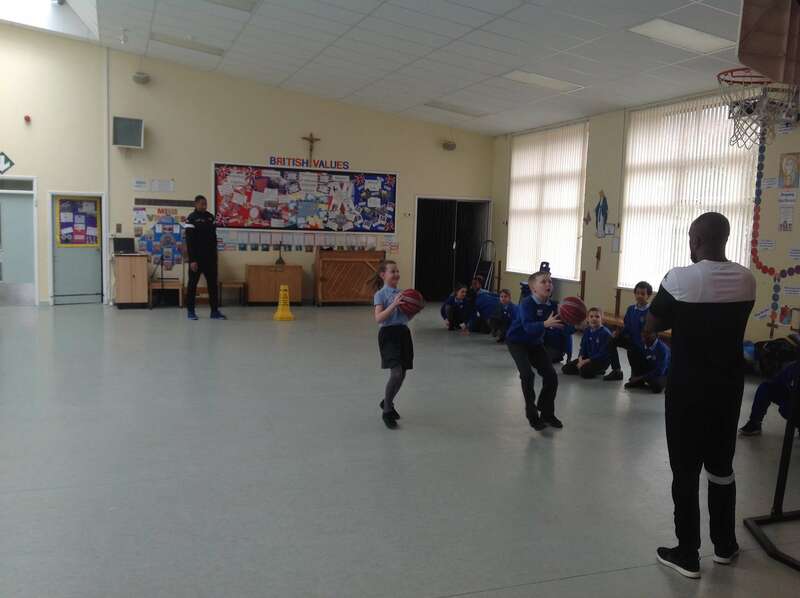 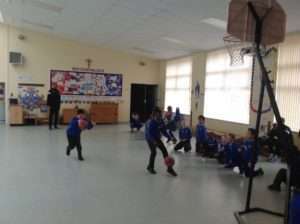 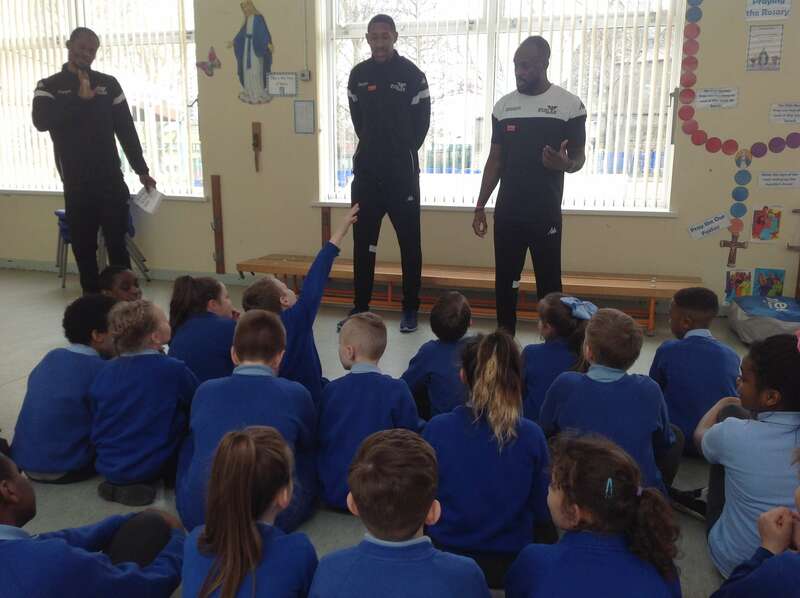 Year 5 had a fantastic afternoon with some of the Newcastle Eagles basketball team yesterday. 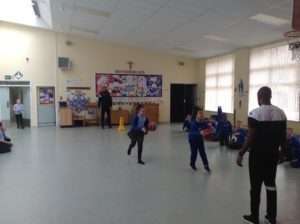 Three of the players, Rahmon Fletcher, Jeremy Smith and Victor Moses, came in to school to deliver Hoops for Health. 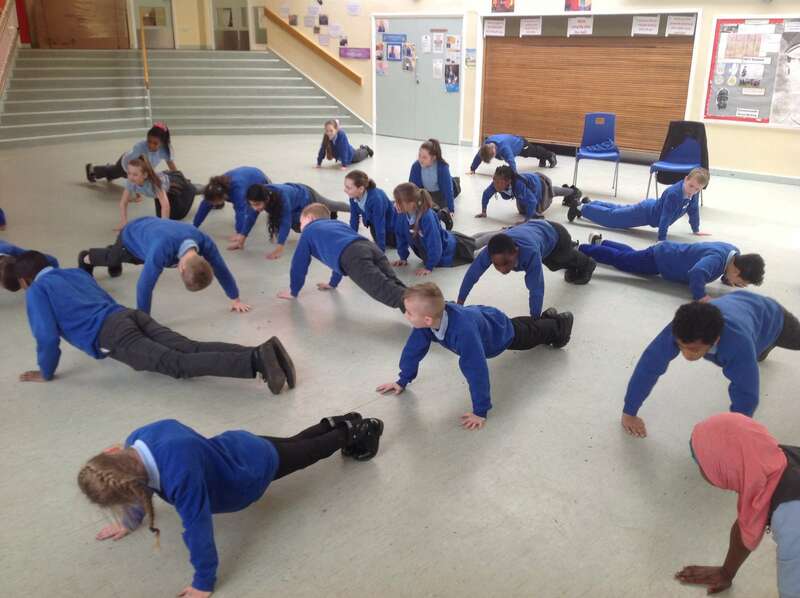 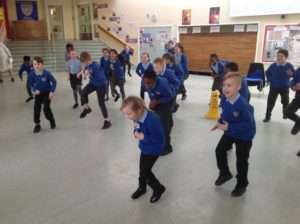 As part of the road show, the children undertook some fitness activities, such as running on the spot, star jumps and push ups. 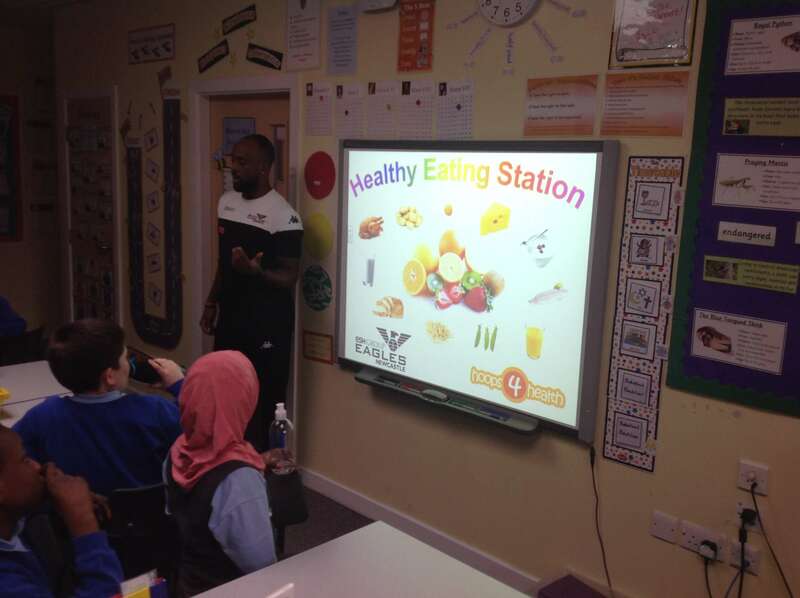 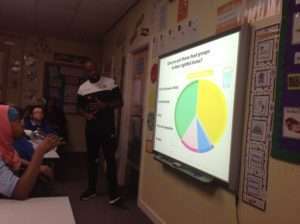 We then had a workshop on healthy eating. Rahmon talked to the children about eating too much sugar. 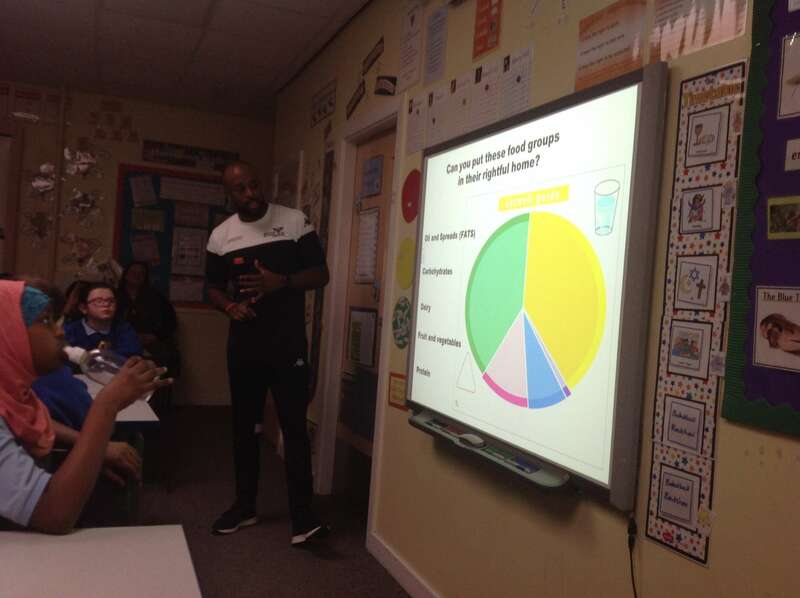 We looked at the traffic light system on food labelling and how this can help us choose food wisely. After that Jeremy talked about peer pressure. 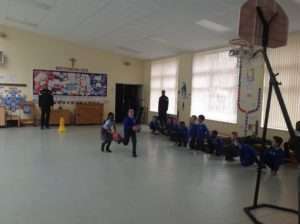 The children found out about positive and negative peer pressure. 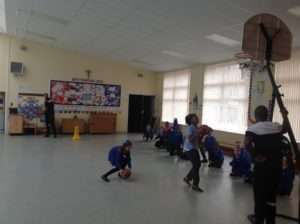 They discussed a scenario and thought about how best to deal with negative peer pressure. 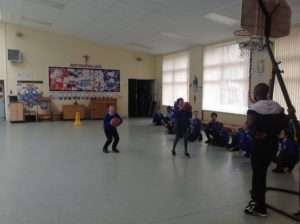 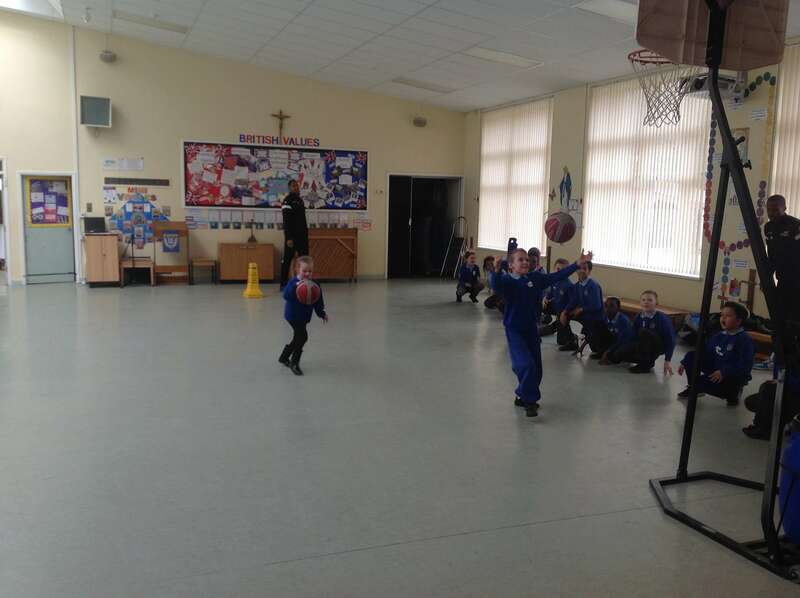 We finished off the afternoon by taking part in some basketball skills practice. 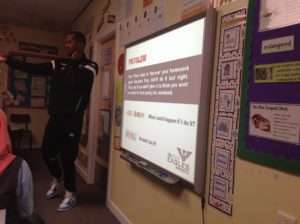 It was a great afternoon. 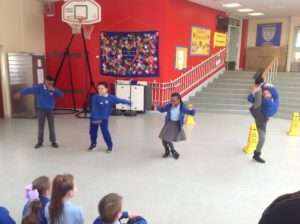 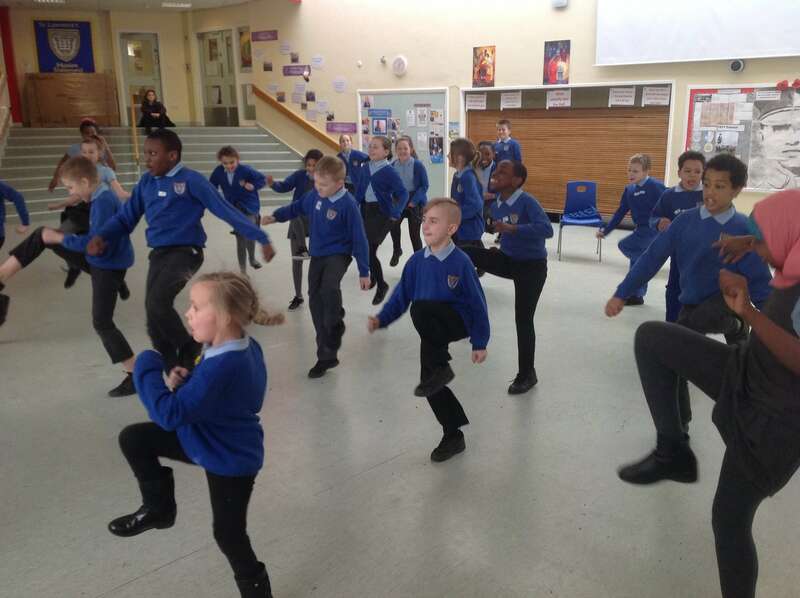 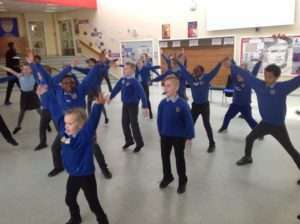 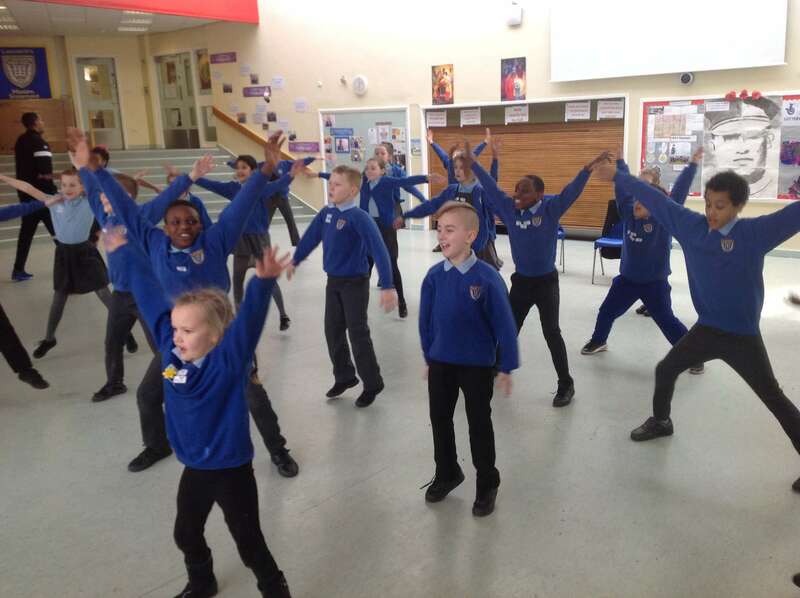 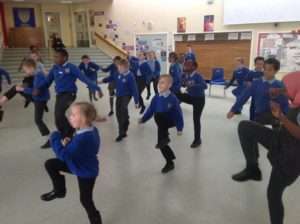 The children had lots of fun; they learnt a lot about staying healthy and got to take part in lots of exercise and skills practice.